Photo by Katie Shannon Photography from Facebook. “The Party,” opening scene of The Nutcracker. 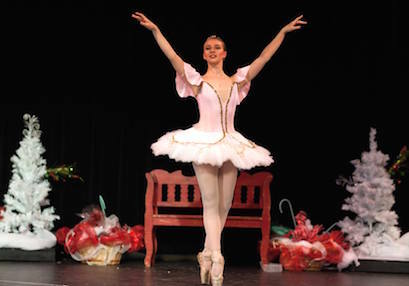 The Children’s Ballet of the Ozarks (CBO) performed an amazing rendition of The Nutcracker on Dec. 14 and Dec. 15 at the West Plains Civic Center. The dancers performed to the treasured Tchaikovsky score, and the audience was in awe of the dramatic opening party scene. Clara, played by Lydia Dixon, receives a Nutcracker doll from her eccentric Uncle Drosselmeyer. Her brother Fritz, played by Zane Copling, fights with her over the doll, which winds up breaking. Uncle Drosselmeyer fixes the doll and the children leave for bed. 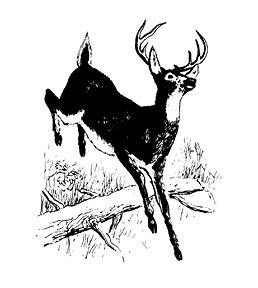 There is comic relief in the opening scene in the performance of Grandfather (Elijah Hamilton) when numerous children break into chase. 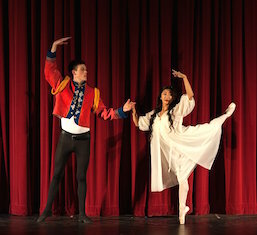 Elijah Hamilton, the Nutcracker, comes to life as the prince dancing with Lydia Dixon as Clara. Clara returns to the dark room after everyone is in bed to find herself being surrounded by mice. She grabs the Nutcracker for protection. She stands in amazement as the Christmas tree begins to grow from an average six-foot tree to over 16 feet high. The Nutcracker, played by Elijah Hamilton, comes to life along with his army of soldiers (Shandra Copling, Giocanna Forbeck, Jade Fry, Kenley LeBaron, Jenna Vlietstra, and Kimberley Whipple) and protects Clara in a battle against the Mouse King (Tia Copling) and her mice (Valorie Carroll, Hazel Dyer, Antonia Forbeck, Julian Lebaron, Larkin Rajski, and Karly Whipple). The battle ends with the death of both the Nutcracker and the Mouse King. Uncle Drosselmeyer heals the Nutracker, who turns into a prince and takes Clara and the audience on a spectacular journey through a winter wonderland. Several dances are performed during their journey, all with a unique flavor, including Spanish, Arabian, Mirliton, Chinese, Russian, the “Waltz of the Sugar Plum Fairy” (Brante’ Copling) and a solo by the Cavalier (Nathaniel Carter). Mother Ginger was played by the newest dancer in the program, James Dietsch. Many other performers participated in making the show a success. The performers all left both tired and inspired by the enthusiasm of the crowd. They are hoping to perform before a sold-out crowd during the show next weekend, with show times Dec. 21 at 7 p.m. and Dec. 22 at 2 p.m. and 7 p.m.
CBO is the only American Ballet Theatre (ABT) certified training center in Southeast Missouri and one of only three in the state. They offer classes in two locations, in Cabool and West Plains, with dancers coming from as far north as Phelps County, all of Texas County and as far south as Howell County. 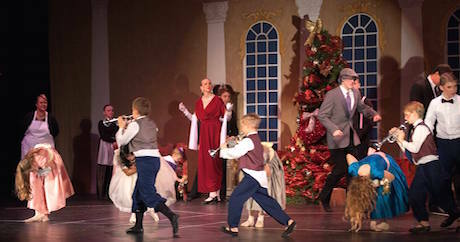 CBO performs The Nutcracker annually and many families have made it an annual Christmas tradition. You will not see a better show, and the cost is modest at $8 in advance or $10 at the door.